Interesting use of a manhole cover in Mannheim: Advertisement for a museum of buttons (Knopf & Knopf Museum), which is located in a former railway station building in Warthausen. 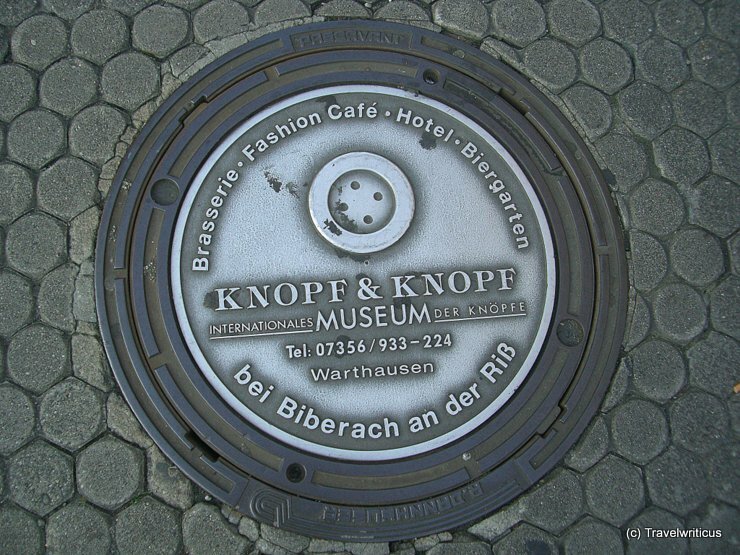 This entry was posted in Manhole Covers and tagged Baden-Württemberg, Germany, Mannheim by Travelwriticus. Bookmark the permalink.